Apartment Cosy Studio - TOP Location "Soho"
Cosy Studio - TOP Location "Soho"
The studio is spacious and great for 1-2 people, warm and location is great. Mirella has been very friendly and responding asap any time. There are great stores and markets around, including a large organic shop. Thank you and I will definitely choose to stay with you again! The location is superb, upcoming trendy area just round the corner of MQ and 1st district. 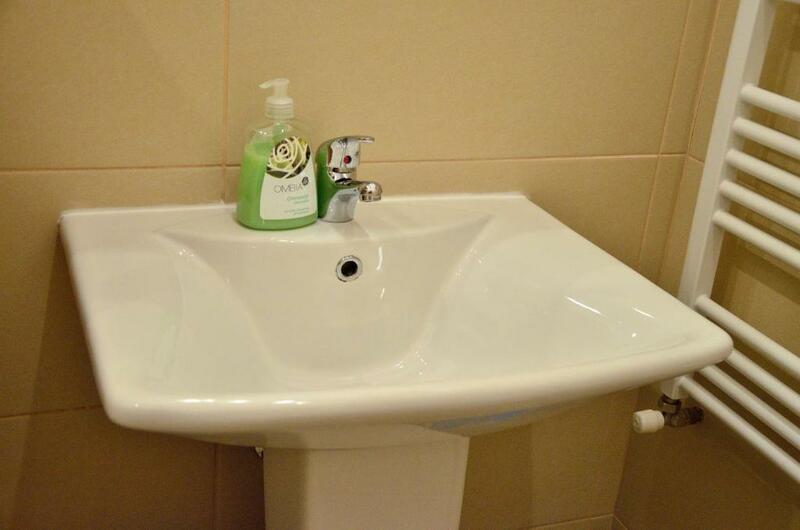 The apartment is big, clean, with all you need to have a comfortable stay. Mirella, the host, has been awesome for the whole holiday giving us all the instructions we needed and replied to our messages in a very short time. Value for money is impressive looking at other options you have. Very well located with supermarkets, restaurants, market and subway line close by. 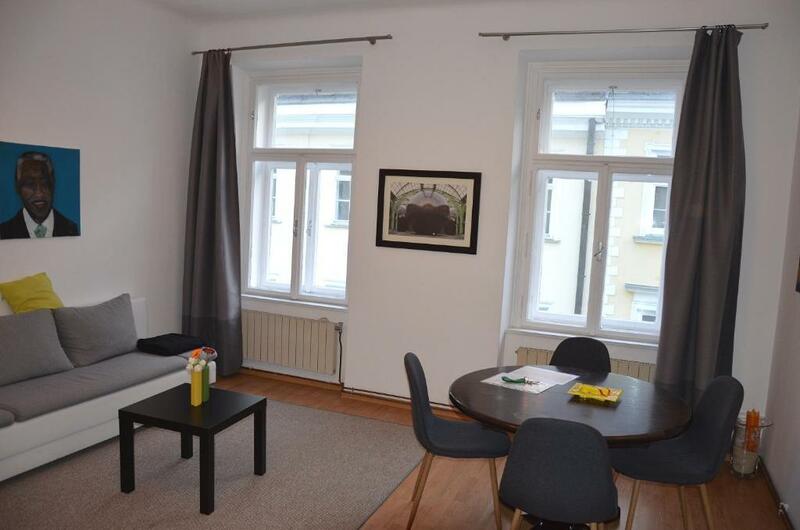 Easy walking distance to karlsplatz. Nice apartment with good commodities and very nice owner. The apartment was clean and I could imagine the potential it could have if only the hosts were more interested in attending to their guests' needs and settled in OK......... and I don't mean by leaving notes saying that if anything goes wrong, you can always contact us by phone etc. ...........at that time, they were on vacation !!! Why didn't they get someone else to welcome me... after all, that would be acceptable. But I am sure I know the reason why. Studio bien situé, super bien équipé et propre !!! Hôtes très sympathiques et disponibles. Plein de bons conseils. Je recommande à 1000%! Su ubicación y que estaba totalmente equipado. Its location and that it was fully equipped. Lock in a great price for Cosy Studio - TOP Location "Soho" – rated 9.1 by recent guests! 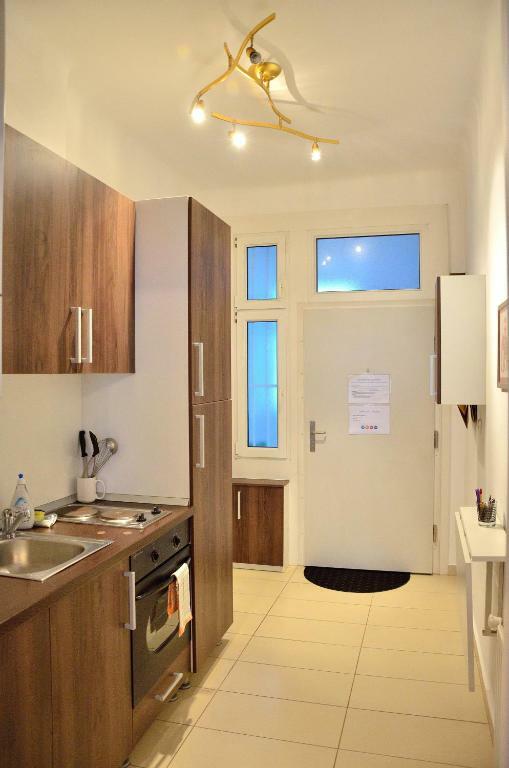 Cozy Studio - TOP Location "Soho" offers accommodations in Vienna. The unit is near the Naschmarkt and 2,300 feet from Vienna State Opera. The kitchen is fitted with an oven, a microwave and a fridge, as well as a coffee machine. Towels and bed linen are offered at Cozy Studio - TOP Location "Soho". Various restaurants, bars and galleries can be found in the vicinity. Albertina Museum is 2,650 feet from Cozy Studio - TOP Location "Soho", while Kunsthistorisches Museum is 2,650 feet from the property. 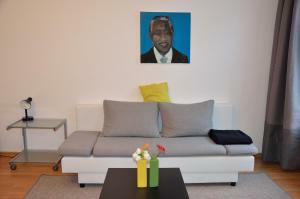 The nearest airport is Vienna International Airport, 11 mi from Cozy Studio - TOP Location "Soho". When would you like to stay at Cosy Studio - TOP Location "Soho"? This apartment features a living/bedroom, a kitchen, a bathroom and a closet. Situated in the best location in town, within walking distance of little restaurants, bars, design- and vintage-shops, galleries and most of the touristic sites. Right across the street you can find the famous Naschmarkt - Vienna’s best-known market which has around 120 market stands and restaurants for a colorful culinary offering ranging from Viennese to Indian, from Vietnamese to Italian. Your daily supplies are also available around the corner: supermarkets and a bakery. 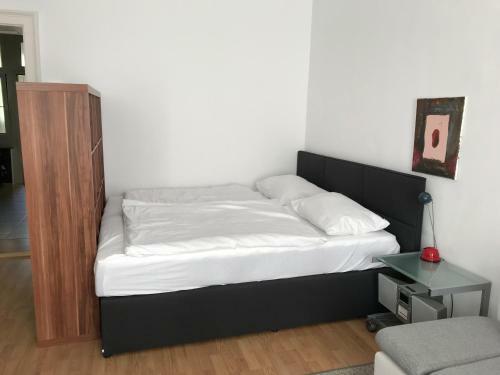 Only 7 minutes walking distance to the famous Opera House and the “Ring” where all famous sights are located (Hofburg, Museums,…) If you would like to use Public Transportation: U4, U1, various buses and tram stations are within 3 minutes walking distance. Even tough the apartment is very central the street is very quiet. The apartment (45 m²) has been renovated 6 months ago! Everything is brand new! The apartment is completely furnished. 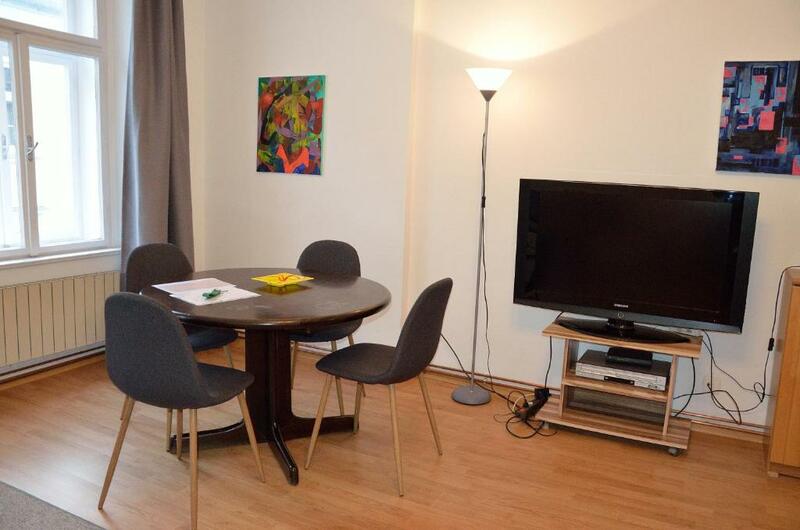 It is a studio with a double bed and a couch (2 people can sleep on the couch which is unfoldable). (max. 4 people). 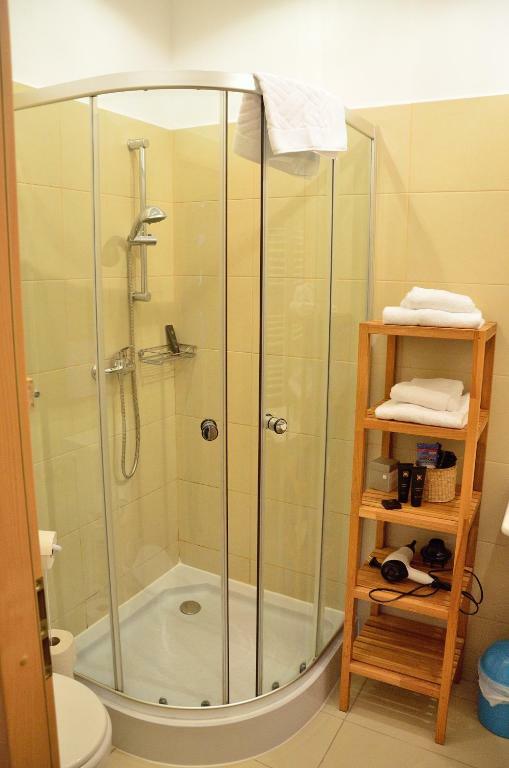 The apartment offers all you need: Towels, Sheets, blankets, pillows, hairdryer, washing machine, iron/ironing board, complete kitchen equipment. Hi my name is Mirella and together with my husband Fabian we offer two apartments in Vienna in the 4th district. We love to travel and to meet people from all over the world. We are looking forward to hosting you. Area Info – This neighborhood is a great choice for travelers interested in art, architecture and museums – Check location Excellent location – show map Guests loved walking around the neighborhood! House Rules Cosy Studio - TOP Location "Soho" takes special requests – add in the next step! Please note that the property has no reception. Please contact the property in advance to arrange check-in. Please note that the city tax has to be paid in cash upon arrival. Please inform Cosy Studio - TOP Location "Soho" of your expected arrival time in advance. You can use the Special Requests box when booking, or contact the property directly using the contact details in your confirmation. See all guest reviews for Cosy Studio - TOP Location "Soho"
Newest Reviews for Cosy Studio - TOP Location "Soho"
Smell in room & check in - out without the owner. The fact that I had to find the keys and then find the building which the apartment was in, which was not easy as I had come a long way and was very tired. So everything was strange and quite honsetly, if someone is letting property, they should make sure that their guests are welcomed and made to feel comfortable. The huge TV in the lounge looked great and I thought I could chill-out and watch it after my long journey. After contacting the owners to ask how to use it, I was told that I should have brought my laptop with me if I wanted to watch TV as it only picked up Austrian channels. I then asked how do I get these Austrian TV channels; after all, I was in Austria. I was told that I couldn't as they didn't have Austrian channels because nobody had ever asked for them. So, it didn't work. I was not able to use the microwave as it was stored high up in a cupboard and I was not able to carry it down to use it. So, like the TV, it was useless. There were no handrails in the shower so I consider this a serious safety hazzard as there was nothing to hold on to if one slipped, which would have been very easy to do. I was there for two nights and was kept awake by the neighbours . One was a woman coughing and crying out and the other nosie was a baby crying. I only mention this because it sounded like they were in the same room. The walls must be very thin.